Some movies are so good, so good that it should be illegal. The Inn of the Sixth Happiness (Mark Robson, 1958), is one of them. It would be impossible for me to describe how much I love this film, from the beginning to the end. There isn’t a moment in this 2h30’s film that I find boring or too long. Yes, it’s a long film, but I wouldn’t mind if it was longer! It’s the kind of movie that makes you want to change the world, that makes you feel strong. It’s a movie that makes you live various emotions: happiness, love, sadness, hope, etc. The best adjective to describe The Inn of the Sixth would be: POWERFUL. Powerful because it has a strong impact on you. Being a real tearjerker, you can’t not feel moved after having seen it. Oh, and it has Ingrid Bergman. What more can we ask? 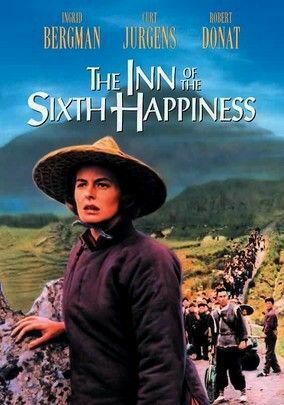 The Inn of the Sixth Happiness is a film based on the novel The Small Woman, written by Alan Burges, itself on the life of Gladys Aylward. The film starts in London, in the 30’s. 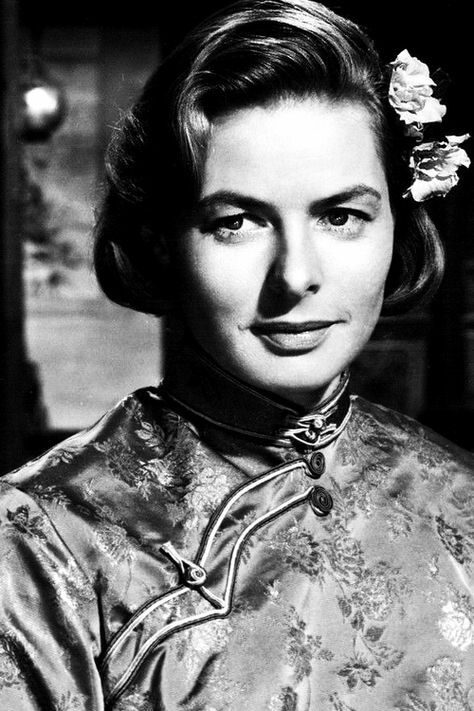 Gladys (Ingrid Bergman) is a young British second maid who dreams of going to China as a Christian missionary. Unfortunately, she is told that she can’t be sent there due to her lack of education. A little, discouraged, but not ready to give up, she decides to go by herself. In a travel agency, she asks information for the train ticket. She’s going to start a new job as a housekeeper at Sir Francis Jamison’s (Ronald Squire) place, so she decides to pay her plane ticket with the money she’ll rise, giving a little amount to the agency each week until the ticket is completely paid. 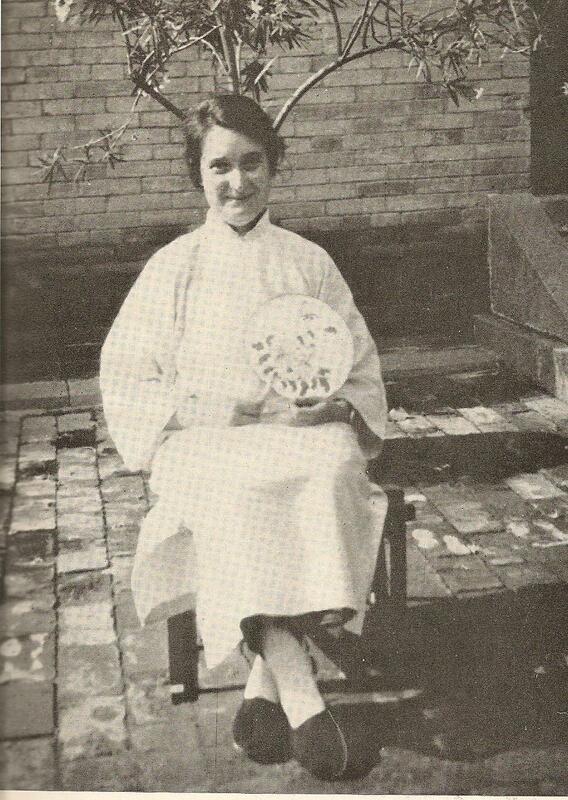 Thanks to Sir Francis Jamison, who has some connections in China, Gladys has a place to stay in this foreign country: at Jeannie Lawson’s (Athene Seyler) inn in Yang Cheng. Jeannie is a strong old woman full of life. She lives in an inn, that hasn’t been opened for a while, with her cook, Yang (Peter Chong). She has decided to reopen the inn with the help of Gladys and Yang. This is a success and the new Inn is named: The Inn of the Sixth Happiness. [SPOILER]: After a bad accident, Jeannie dies, leaving Gladys and Yang alone to handle the inn. [END OF SPOILER]. 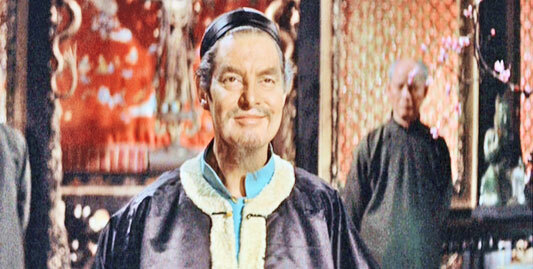 The mandarin of Yang Cheng (Robert Donat) is desperately in need of a foot inspector to make sure that the traditional practice of foot binding is stopped in the regions he governs. Gladys is the one chosen. It’s a success. She then helps the illiterate people to read, adopts many orphans, stops a fight in a jail, makes several good actions and many friends. She is loved by everybody and is re-named Jen-Ai (The Woman who Loves the People) by the locals. Meanwhile, she meets Captain Lin Nan (Curt Jürgens) and they fell in love with each other. This one encourages her to leave the country due to an imminent Japanese’s invasion. She refuses because she belongs to China. When the war between Japan and China begins, it’s a catastrophe and the village is completely destroyed. The population has to evacuate the town. Now, having a hundred children to take care of, Gladys leaves the village with them to take them to a more secure place. This will be a long and hard expedition. The real Gladys Aylward was not pleased with the film. 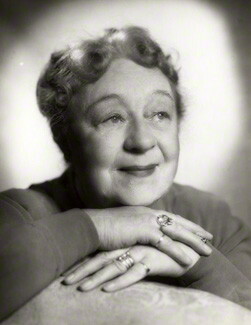 According to her, the tall Swedish Ingrid Bergman was not a good choice for the leading role, as Gladys really was a small brunette with a cockney accent. Some characters and places named were changed and some aspects of the film didn’t reflect perfectly what really happened to Gladys. Ok, she is probably the best judge as the movie is about her, but that doesn’t make it a bad one! Yes, it might be a not so good biopic about Aylward’s life, but the movie itself is simply great. It’s a movie with a lot of potentials and it’s the kind of movie that is generally highly appreciated. The Inn of the Sixth Happiness was nominated for Best Director Oscar (but didn’t win). 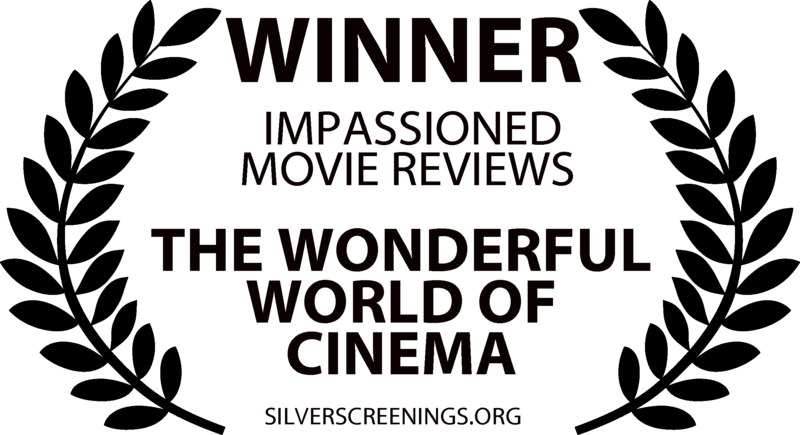 It won a Golden Globes for Best Film Promoting International Understanding and was nominated for Best Motion Picture Actress – Drama (Ingrid Bergman) and Best Motion Picture Actor – Drama (Robert Donat). Ingrid Bergman and Kurt Jürgens were also both nominated for a BAFTA Award (Best Foreign Actor and Best Foreign Actress). Mark Robson received a DGA Award nomination for Outstanding Directorial Achievement in Motion Pictures. 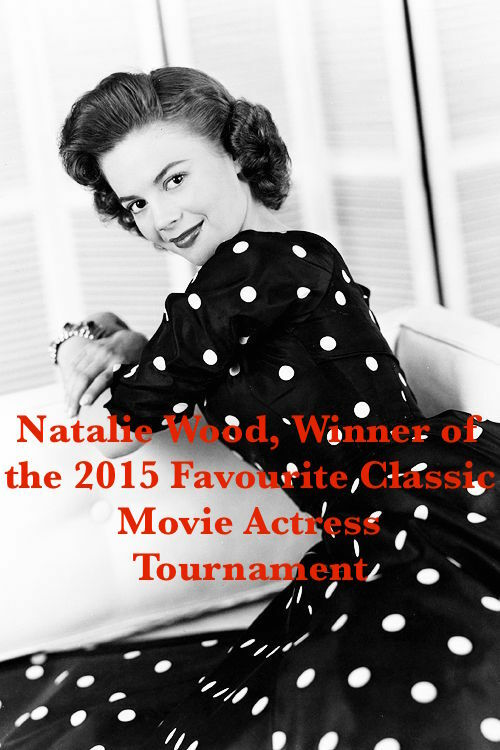 Finally, both Ingrid Bergman and Robert Donat won a Best Actress and Best Actor National Board of Review, USA Award. The film was the second most popular film at the British Box Office in 1959. In other words, the reception was good. 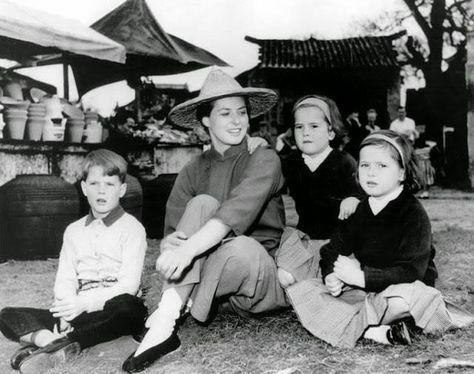 Something I found quite interesting about The Inn of the Sixth Happiness is the fact that it was directed by Mark Robson, who was born in Montreal! That’s where I live. 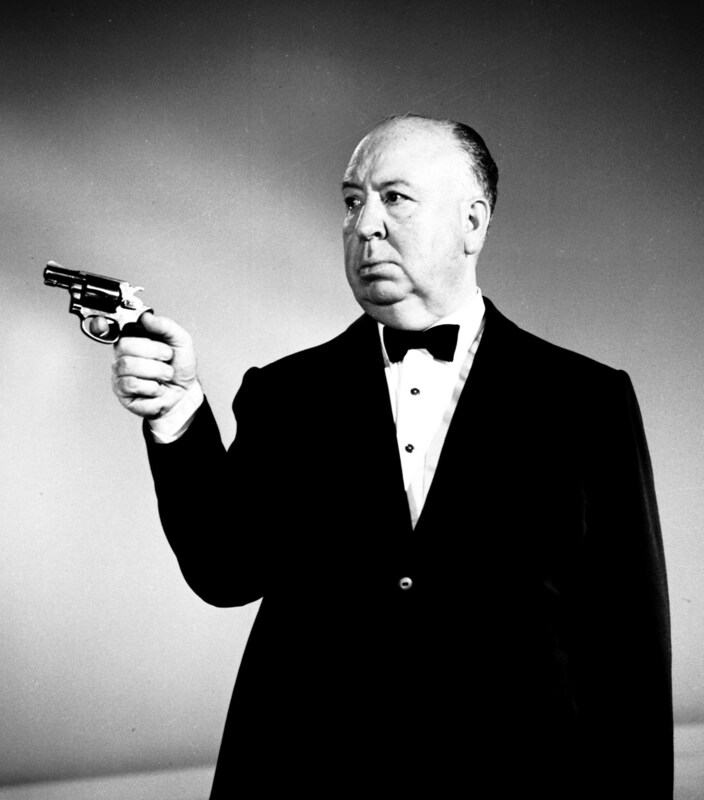 Before becoming a director (The Inn of the Sixth Happiness, The Bridges at Toko-Ri, Valley of Dolls, etc. ), Robson first was a film editor. 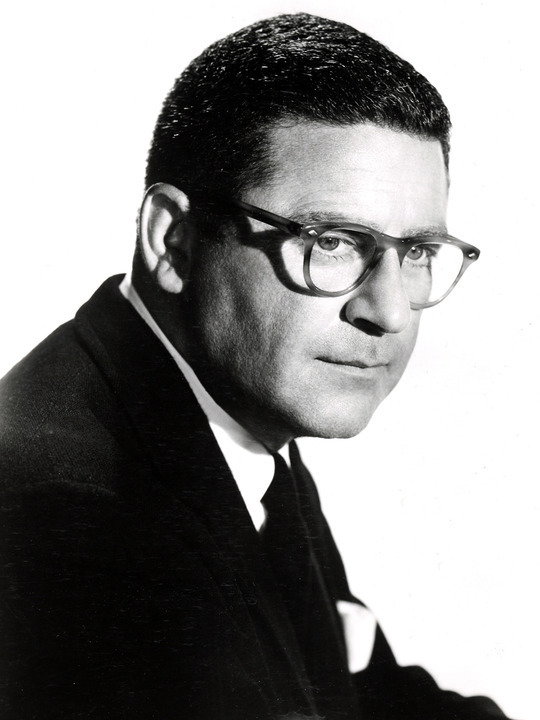 He worked as Robert Wise’s assistant some well-known classics such as Citizen Kane, and The Magnificent Ambersons, and also edited Cat People and I Walked with a Zombie. 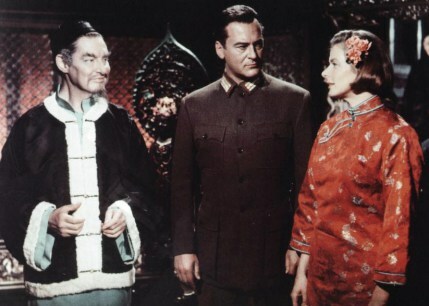 Talking about Montreal, places, The Inn of the Sixth Happiness is a movie that makes me want to travel, to go to China. Of course, it has changed a lot since then and, back in the 30s, it didn’t seem to be the safest place in the world, but Gladys Aylward’s passion and devotion for it is so sincere so it makes you curious to know more about this country. However, outdoor scenes were not shot in China, but in North Wales, UK. So, the beautiful landscapes we see are not Chinese ones but Wales ones. The studio shooting was done in England. It can remind us of Stanley Kubrick, who shot Full Metal Jacket near London… Well, should I conclude that it makes we want to see North Wales and not necessarily China? Well, I’d like to see both, but what I see in this film is China, not North Wales. I’d like to go in the small villages, just like Gladys. 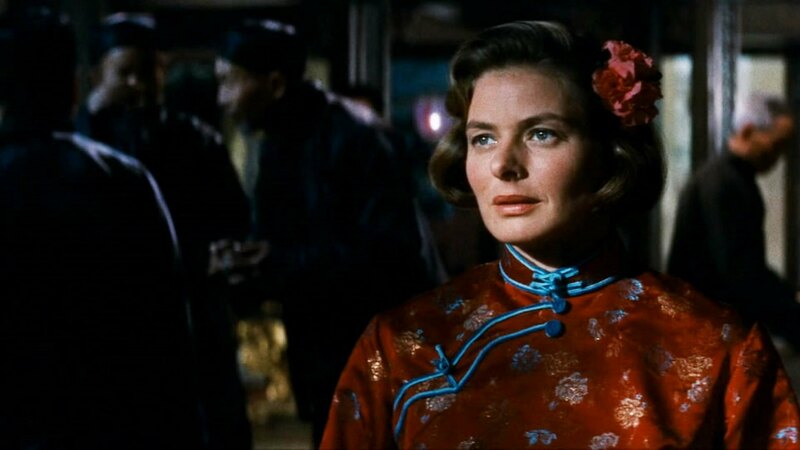 Despite the fact that the casting for this film was not perfect, well for the three main actors: Ingrid Bergman (not being enough British), Robert Donat and Curt Jürgens (both European playing Chineses), the interpretations were great and that’s one of my favourite aspects of the film. I believe this was Ingrid Bergman’s most touching performance. I simply love her in this. Her acting is so honest, so strong. We really connect with her. She and Jürgens make a great team and, together, embodied one of my favourite on-screen love stories. They are so beautiful together and honestly make your heart beat. There’s a very touching scene when the two are in an inn full of people who all sleep together. Ingrid is lying with Six Pence, the little girl you adopted, next to her. Curt arrives and sees that the only place where he can lay is next to them. 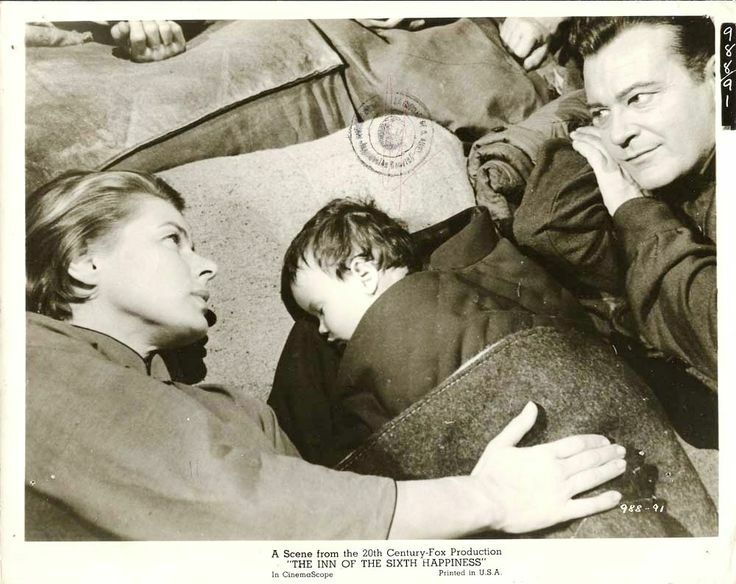 So, he lays there and the image we see is Ingrid and Curt with the little girl in the middle, just like they were a family. It’s simply beautiful. This film was, unfortunately, Robert Donat’s last one. He was very ill during the shooting and died during the making of the film. Even if he wasn’t a Chinese portraying a Chinese, but an English man portraying a Chinese man, I thought he did an amazing job. His performance was really convincing. 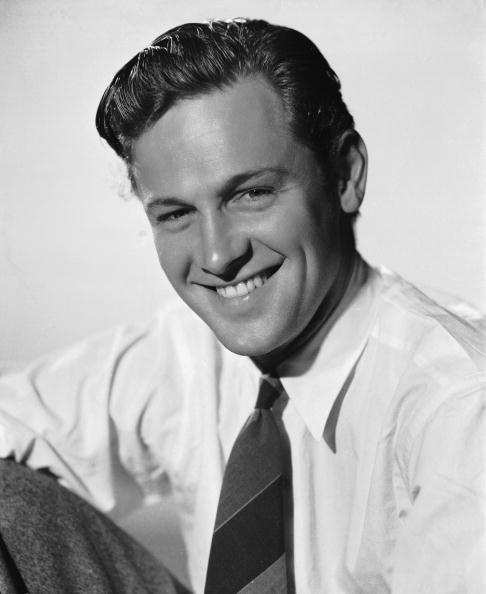 He too has a great on-screen chemistry with Ingrid Bergman and how sad is it to know that it was his last film. He was only 53 when he died. I think it’s because of this film that he became a favourite of mine. 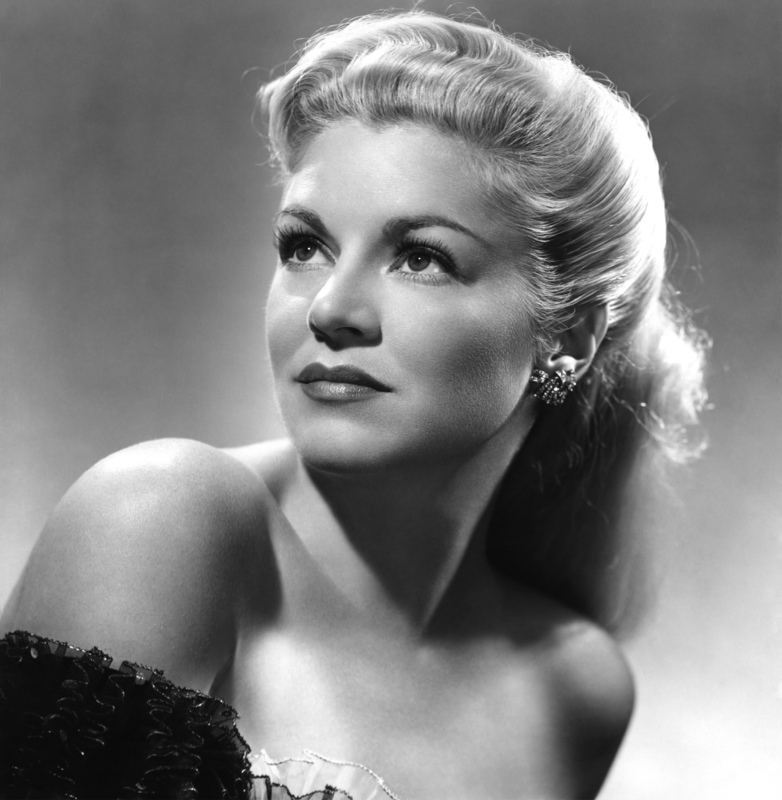 I also have to give good credits to Athene Seyler who was cast as Jeannie Lawson. She plays her character with a great energy and an impressive strength. She is very lovable. There are many other great actors in this film, but I will conclude by mentioning Peter Chong who played Yang. I don’t know a lot about this actor, but he was GREAT and was, in my opinion, very well cast. Peter Chong really is the funny guy in this film, the one with whom you want to be friend. Robert Donat also has a great humour. The Inn of the Sixth Happiness was filmed in Technicolor and it’s indeed one of the most colourful films I’ve ever seen, aesthetically and narratively. It’s beautiful. The Technicolor technique was really used to its full potential. 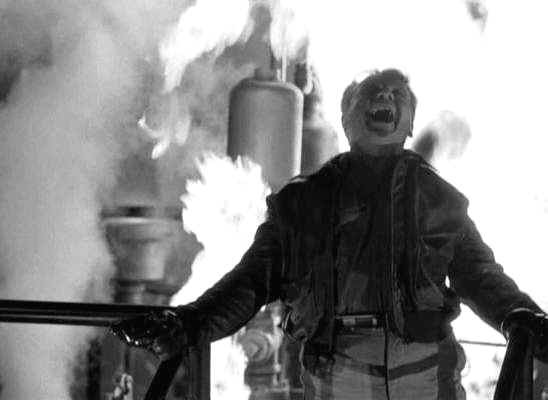 We like black & white films, but this is the kind of films that glorify the color classics. It is a film that I would LOVE to see on big screen. If you ever did, well, I’m very jealous! As I said at the beginning of this review, this film never gets boring. Why? Because there are so many things happening. The last 30 minutes are the most exciting ones, but the entire movie is a real entertainment. It’s the kind of picture you can watch even when you’re really tired because it keeps you awake. I often said that my favourite Ingrid Bergman’s film was Spellbound, but sometimes I wonder if it’s not this one. Well, I love them both very much, so it’s very hard to choose. Anyway, The Inn of the Sixth Happiness is definitely in my top 20, or maybe in my top 15. I really like this film. 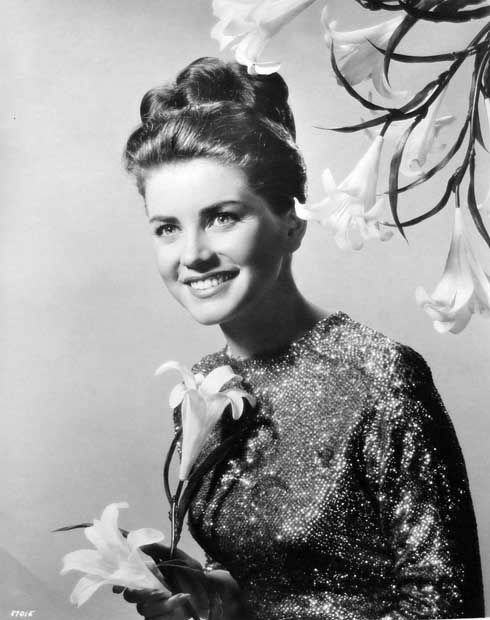 This was one of the first Ingrid Bergman movies I ever saw, and I thought she was fantastic. thanks for the summary and backround, Virginie. I actually never saw it. Will put it on my list/. My all time favorite. How can I view it? 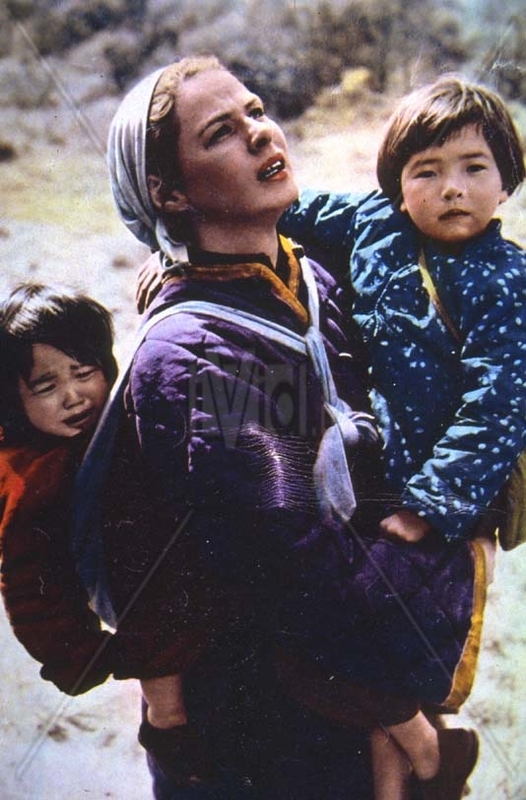 Hi Denise, I guess you can find a dvd..
My Father and Uncle were in this film as extras, part-Chinese boys which were brought to Snowdonia from Liverpool. They were only about 9 and 10 years old and were there for a week, and can be seen carrying pots into the mountains. They enjoyed top quality food from the portable canteen, along with the actors. Amazing film. Wow thanks for sharing this cool story!